You have reached the official site of Oklahoma’s most prestigious girls basketball tournament, the Bertha Frank Teague Mid-America Classic. This web site recently changed hosts. We are populating it with content on a daily basis. Watch this space for news, brackets, schedules, stats, scores, photos and more. 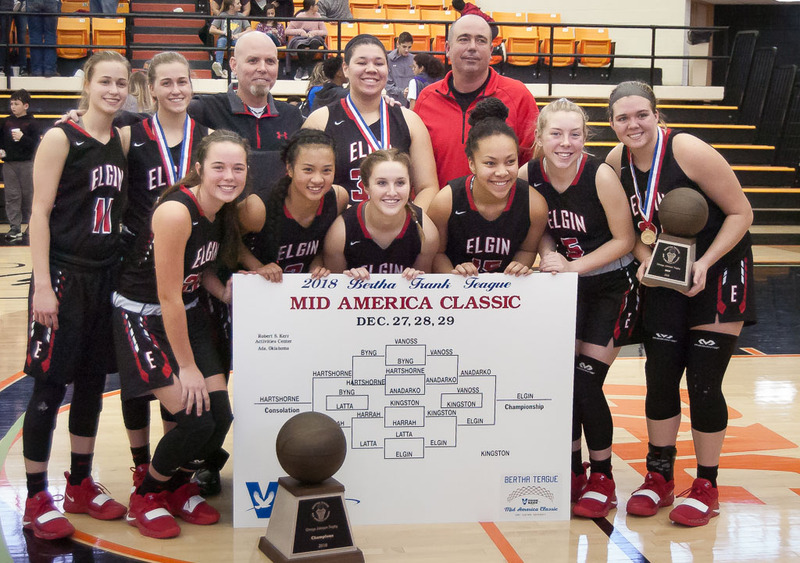 The Elgin Lady Owls claimed the Mid-America Classic championship trophy Saturday, Dec. 29, 2018 at ECU’s Kerr Activities Center in Ada. Are there live streams available for this tournament? No, sorry. However, with added interest this year, we are considering this for next year’s Classic.